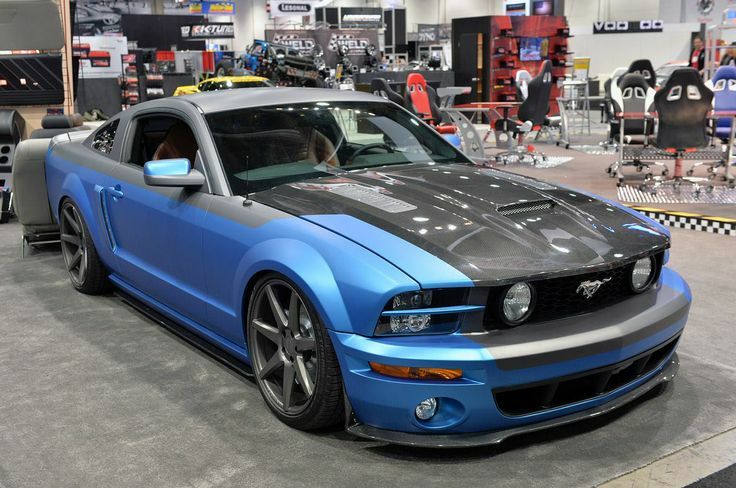 tmi 2005 ford mustang sema. 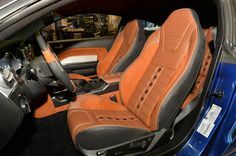 TMI’s new Sport XR seats, trimmed in beautiful black brown leather and suede, are the main highlight, and the rear seats have been upgraded as well to match. 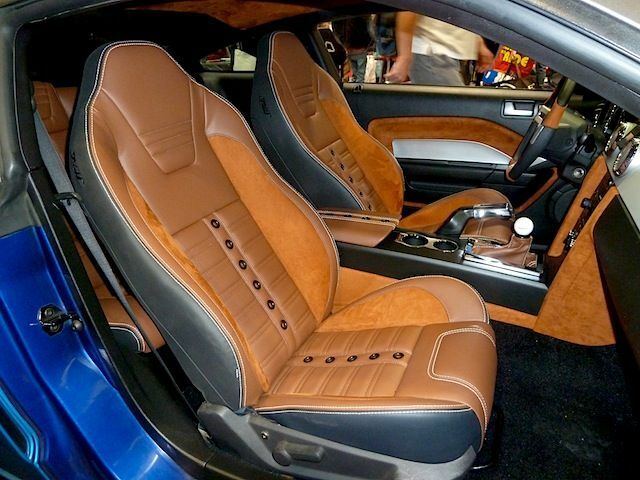 TMI also added suede on the door panels, shift boot, steering wheel and around the instrument panel, and leather now covers the center console storage area.